← Bow Little Market is now open for business! 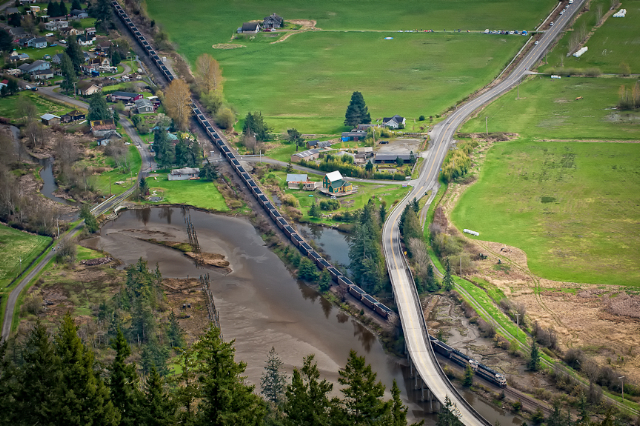 What will 20 more coal trains running through the heart of Blanchard, Bow and rural Skagit County each day mean to us? Bellingham based “Re-Sources for Sustainable Communities” presents a forum to learn about the proposed Gateway Terminal at Cherry Point and the train traffic that will result. Bob Ferris, the executive director, will speak about the 1.5 mile long coal trains that will be traveling right through Blanchard and our surrounding communities for decades IF the Gateway Terminal is built. Impacts on the Environment, Jobs, Economy, Health, and Traffic are some of the issues that will be discussed. Read: article guest opinion “Coal and our community don’t mix” and other relevant articles from Chuckanut Conservancy. This entry was posted in Blanchard, Coal, Community, Skagit County and tagged coal trains, environmental issues, Skagit County. Bookmark the permalink.